Networking is one of the most effective ways to grow a successful and profitable business. 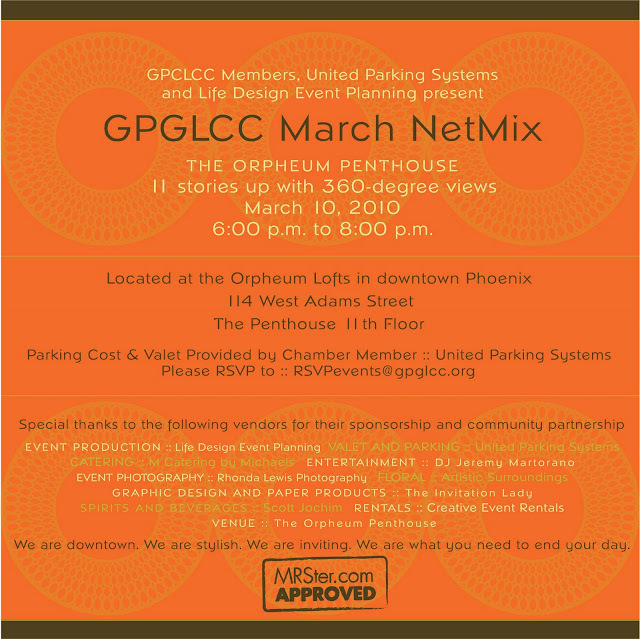 Come join hosts Life Design Event Planning & United Parking Systems for cocktails and an appetizers at The Orpheum Penthouse and enjoy the charm of Phoenix. Bring associates, clients, friends, co-workers for an intimate, social networking opportunity. The night will begin at 6:00pm. This event will start at 6:00pm Parking cost & valet provided by United Parking Systems.